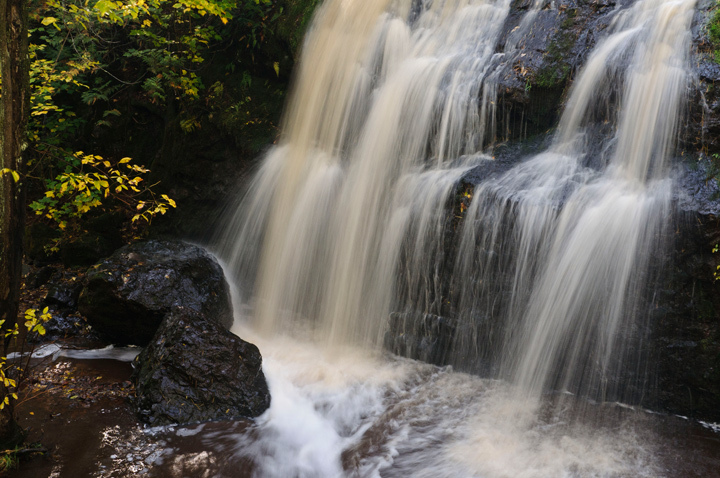 There is a small waterfall at Amnicon Falls State Park called Now and then Falls. 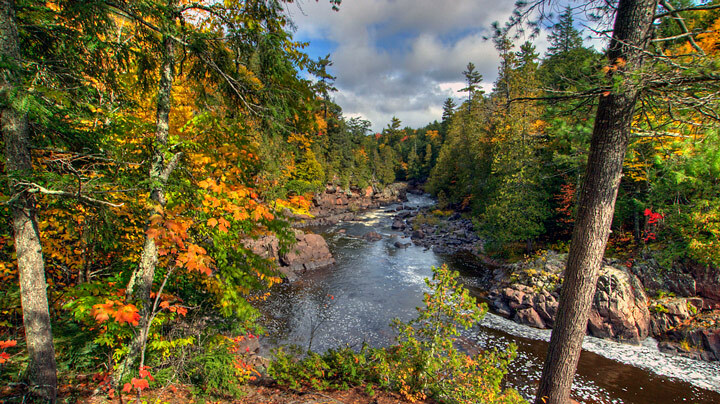 It’s called that because it only appears if the water level in the Amnicon River is high enough so water is diverted to the falls. Many visitors miss Now and then Falls because it is located behind the restrooms in the main parking lot. 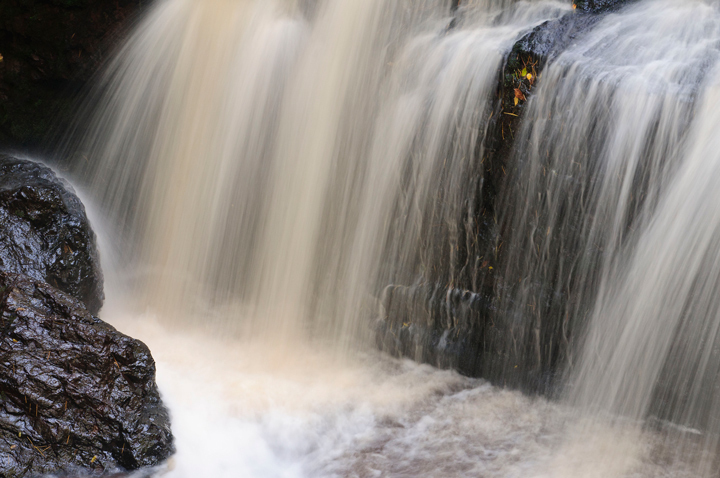 Be sure to stop at Now and then Falls if the water level is high like it was this past weekend. We took a quick trip this past weekend up to northern Wisconsin and the U,P. of Michigan. 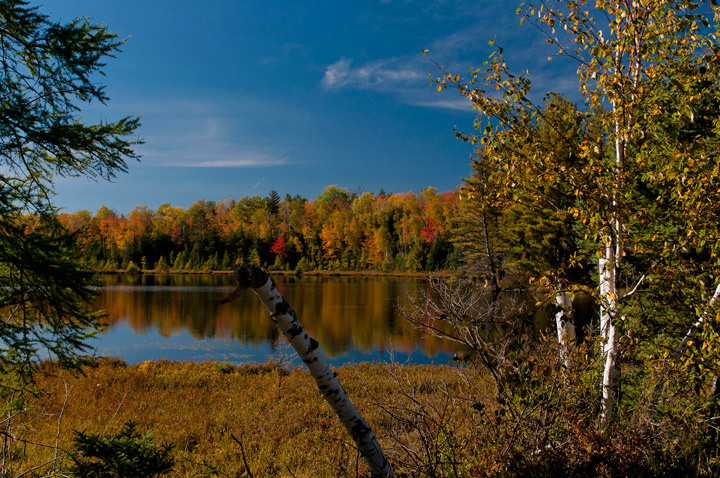 The trees from Superior to Ashland are a couple of weeks away. There had been heavy rains and Lake Superior was brown from the silt in the water. From Ashland to Hurley the trees started to turn more. The Hurley, Ironwood area will be at their peak this week. The first stop was along the Black River. The Black River was had some of the best color I’ve seen in the area an there was lots of water in the river. The Gile Flowage south of Hurley on 51 had some fantastic color. The best stop of the weekend was at Copper Peak. We took the Adventure tour up the chair lift, rode the elevator to the top and then walked the rest of the way to the top of the ski jump. The colors were unbelievable . 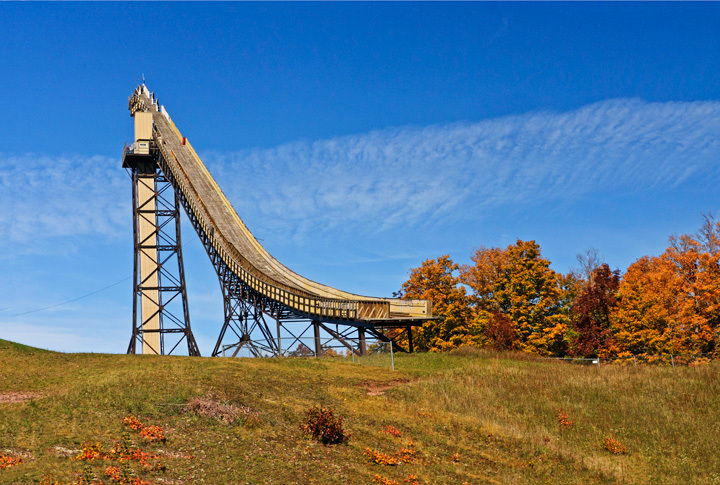 If you are ever in the Ironwood, Michigan area during peak color I would suggest making the trip up the Ski Jump. 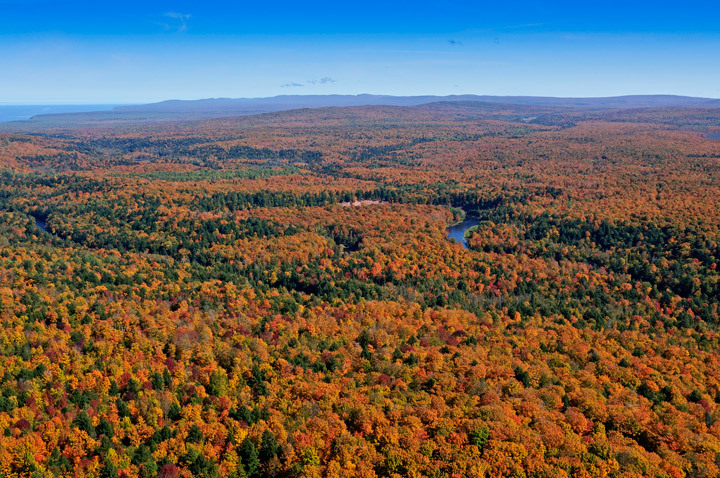 The views are fantastic and you would help bring back ski flying to the U.P.